What's the one time you look forward to every single day when you come to school? For my class, it's our read aloud time. Right when we come inside from recess and are trying to calm down, we settle at the carpet for our chapter book read aloud. It is seriously the BEST time of our day. Every day when we inevitably have to end our read aloud time, my kiddos all say, "Touch your nose if you want Mrs. Fretwell to read one more chapter!!!" They never want our time to end! 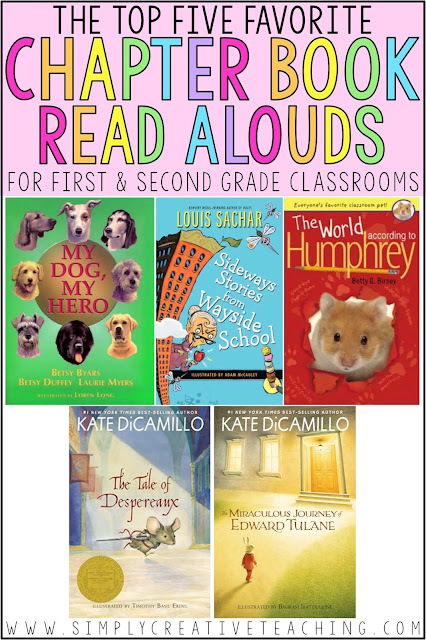 I thought it would be best to share our TOP 5 FAVORITE read alouds for the year. You can find the links to all of them (and a few more) in my Amazon shop. Heads Up: My post contains Amazon affiliate links, so if you buy something through it, you won't pay a penny more, but I'll get a small commission to help keep Simply Creative Teaching up and running! I really love to read this book at the beginning of the year. 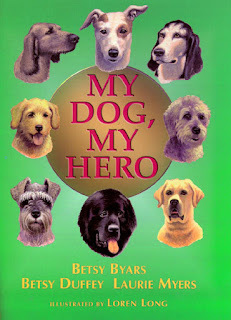 In this book, eight dogs are chosen to compete for the Hero medal. In each chapter, the owner nominating the dog tells the story of how that dog is a hero. The chapters and stories for each dog are short, but the stories are engaging, detailed, and kids are absolutely captivated! By the end of the book, everyone is debating which dog they think will win the Hero medal. It's the perfect book to read at the beginning of the year to hook your students into daily read aloud time. I promise they'll love it! This is another favorite book that I usually read at the beginning of the year. 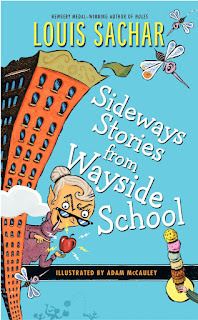 These stories are silly, weird, and your kids will LOVE hearing all of the craziness that happens at Wayside School! This is my personal FAVORITE. I cannot go a year without reading this book to my kiddos. 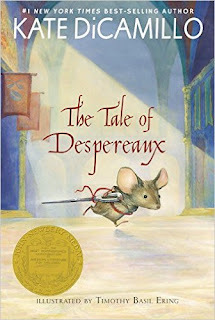 This book tells the story of a brave mouse named Desepereaux who is banished to a dungeon, but he is also in love with a princess named Pea. Kate DiCamillo often speaks to the readers in this book and asks questions of those reading by saying things like, "Reader, do you believe ____?" Your kids will LOVE it. Cross my heart. 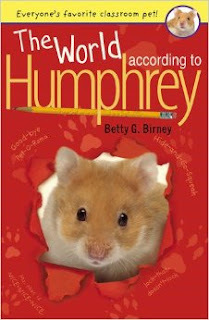 Yes, it's another animal story, but I promise The World According to Humphrey is another wonderful book your class will love! Humphrey, a hamster, is a class pet. Each weekend he goes home with students and has amazing adventures. But, there's one problem... Everyone loves Humphrey, except the dreaded teacher, Mrs. Brisbane, seems to be out to get him! Edward Tulane is by far my number one favorite every single year. Edward is a rabbit who belonged to a little girl named Abilene who loved him very much. However, one day he gets lost and his miraculous journey begins. 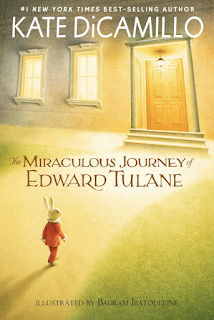 It's an incredibly well-written, engaging story, and my students are always eager to hear what's happening next on Edward's journey and who he'll meet. Hopefully you found a title or two that you want to read to your class! Enjoy! 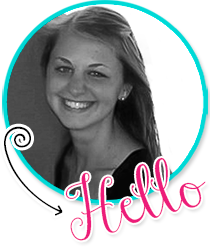 Get the latest freebies and teaching tips by email!